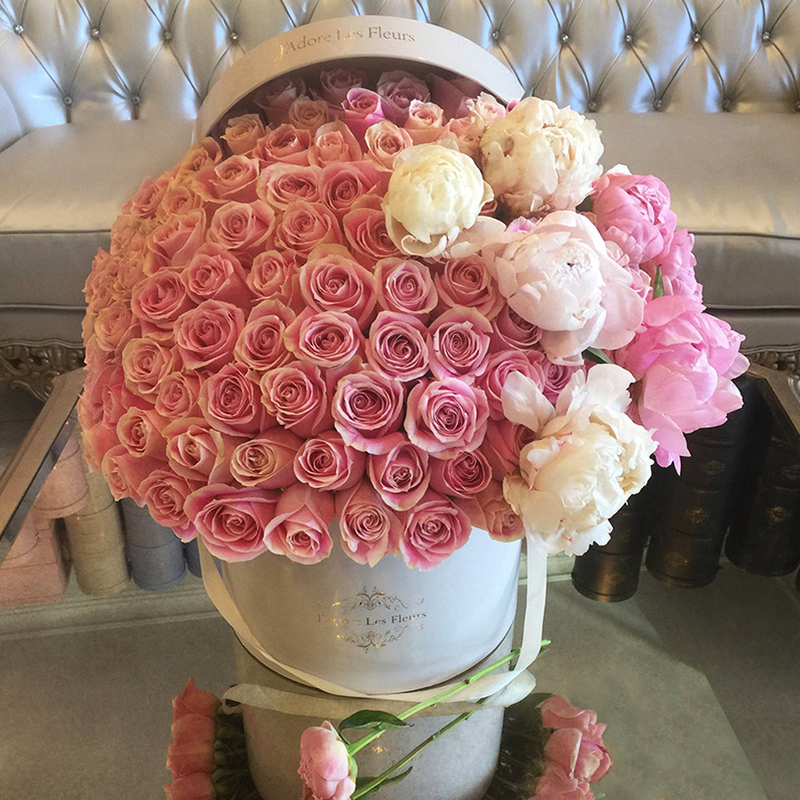 150 Signature Roses mixed with peonies, this blush bouquet is sure to take your breath away. Blush Rosita Vendetta roses delicately inserted into the box creating a dome shape and atop lush crispy peonies to stun the recipient! The arrangement in the photo is in our Large size box.